I am writing to you in a spirit of love and concern to place before you what I have learned regarding the three religions: Jews, Christians and Muslims who all share the one common heritage, each in their own way, of being children of Abraham. 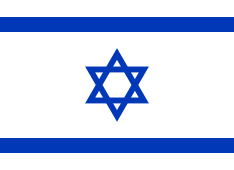 As you know, the Jews still await the coming of the prophesied Messiah who is the focus of the ancient Jewish Scriptures, as He is also the whole focus of the New Testament Scriptures of the Christians who recognise, as you do, that the Christ is the awaited Messiah; (Koran 3:45) but only the Christians recognise Christ as the One who has fulfilled all of the ancient prophecies regarding the Messiah in the Jewish Old Testament Scriptures. (Luke 24:44-49) The difference between your perception of who the Messiah was, and that of the Christian, is that you see the Christ Messiah as being "no more than an apostle" (Koran 3:47-48; 5:75; 19:88) while the Christians perceive Him to be as the Prophet Isaiah said, "God Himself (Who) will come and save you ". (Isaiah 35:4; 1 John 4:14 & Article 20. Jewish non-belief: See 2 Corinthians 3:12-16) I would like you to realise that I understand that I, like you, could just as easily have been born a Muslim and have been brought up to believe as firmly as you that the Koran is the unalterable truth, the revealed true word of the one true God. (Koran 3:19) But I was not born a Muslim and I have had to search for the truth of God among the religions of the world. In summary: what I found was this: that the ancient Scriptures of the Israelites are true, (Koran 5:46) containing the actions and words of God from the dawn of Creation and progressing through His dealings with His Chosen People, the Jews, the tribe of Jacob's ('Israel's) fourth son Judah; (Jacob was the son of Isaac who was the miraculously conceived son of Abraham and his barren wife Sarah.) and how God had tested the faithfulness of Abraham by requiring of him to sacrifice his miraculously conceived son, Isaac, as a sacrificial offering, and how, when Abraham proved faithful, God had delivered Isaac back to him, and promised him that through Isaac's descendants he would become 'father' of "all the nations" and be blessed with children numbered "as stars of the heavens and the sands of the seashore........as a reward for his obedience." Remember, Islam claims to "confirm" and "corroborate" the Jewish - Christian Scriptures, (Koran 2:85-101; 5:46,48; 10:37) Scriptures which consistently proclaim the Messiah's Divinity , but the angel of the Koran and Muhammad both clearly deny Christ's Divinity , saying, "the Messiah is no more than an apostle." (Koran 4:171; 5:16; 5;75, 19:88) So, what is the true Islamist answer to the Koran's own question: "Can you believe in one part of the Scriptures and deny another?" 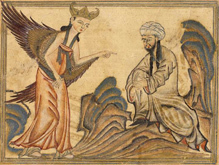 (Koran 2:85, 19:88) How may Koranic Islam truly "believe" its claim to "confirm" and "corroborate" the Ancient Scriptures and then override and deny so many of them, "believing", "confirming" and "corroborating" some parts and denying so many others ? See also articles 3, 4, 18, 19, 20.2, 21, 22 & 25.